The holiday season is in full force and our Christmas playlists are accompanying us everywhere we go. Because wrapping gifts goes faster while you listen to showtunes (proven fact! 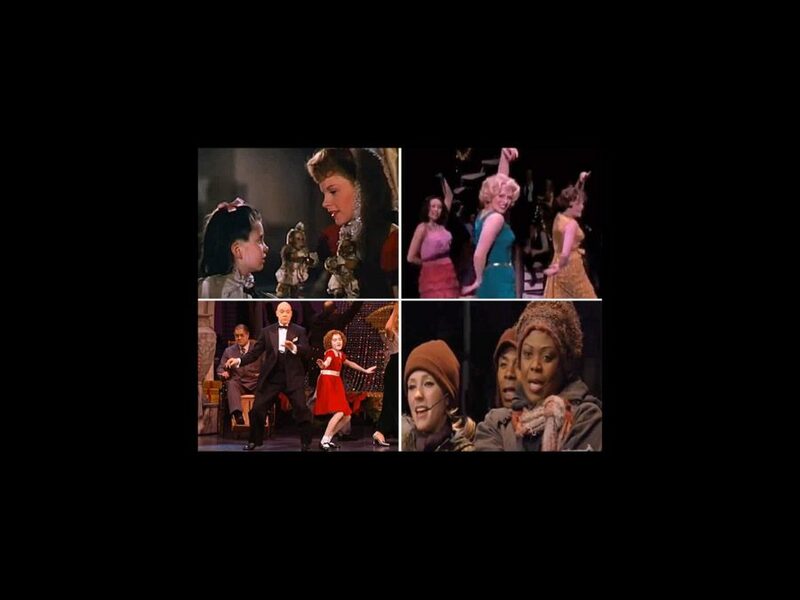 ), we compiled some of our favorite holiday scenes from musicals. After all, some of the greatest Christmas carols were originally written for stage and movie musicals. From Judy Garland to the cast of Rent, click below for a warm holiday treat. Who doesn’t need a little Christmas in their lives? After Mame Dennis loses her fortune in the stock market crash of 1929, the high-society dame rallies her nephew. After Tony Award winner Angela Lansbury originated the song in 1966 production, Jerry Herman’s tune went on to become a holiday classic, performed by everyone from Kathie Lee Gifford to the Muppets to the cast of Glee. Judy Garland immortalized many songs, but “Have Yourself a Merry Little Christmas” from the 1944 movie Meet Me In St. Louis ranks among the most-performed holiday songs of all time. Written by Hugh Martin, Garland sings this number to console her young sister (Margaret O’Brien), who is upset by the family’s impending relocation to New York. The tune was included in the Broadway staging of the musical in 1989 and has been recorded by countless artists, including Frank Sinatra, James Taylor and Kelly Clarkson. Christmastime is the season of giving, family and wild company parties. Promises, Promises contains one of the greatest onstage office celebrations with “Turkey Lurkey Time.” This scene from the 2010 revival features a bevy of secretaries bursting with the holiday spirit as they sing Burt Bacharach and Hal David’s ode to everyone’s favorite Christmas feast. There’s nothing more heartwarming at Christmas than a happy ending, and that’s just what we get when Annie is adopted by Daddy Warbucks. The finale of Annie, set during a lavish Christmas party at the Warbucks mansion, features Charles Strouse and Martin Charnin’s warm and fuzzy “New Deal for Christmas.” Here are Broadway revival stars Lilla Crawford and Anthony Warlow performing the cheery number. In Jonathan Larson’s Rent number “Christmas Bells,” cops, drug dealers and the city's homeless sing out about the holiday. See the final cast of the Broadway production, featuring Will Chase, Adam Kantor, Renee Elise Goldsberry, Tracie Thoms and more create this memorable moment.